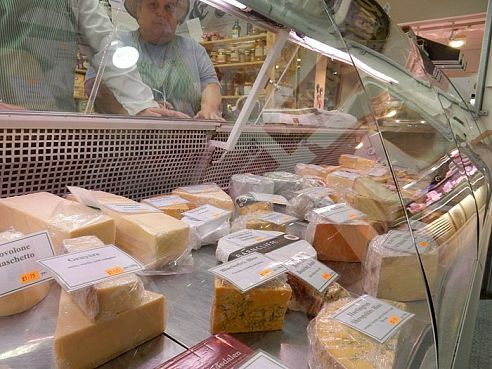 The Moor Market will open late on 9 February for a festival that celebrates all things cheese. Love Cheese will take place from 6pm – 9pm, and fromage fans will be able to enjoy a huge range of cheeses from around the world alongside drinks, street food and music. For the first time, people will be able to enjoy their drinks in the market, rather than taking them away. Some Moor Market favourites will be on board to help out, including independent beer retailer Beer Central and S&J’s Pantry. Details of more traders due to get involved are going to be released in the run up to the festival. The Love Cheese event is part of an idea to celebrate Sheffield’s market traders, and to open up the Moor Market in the evening for food and drink events, and entertainment. Love food? See more in Alive after 5’s food and drink section.